In the transition from Black History Month to Women’s History Month, the book Savannah’s Black “First Ladies” Vol. 1, by locals Pamela Howard–Oglesby and Brenda Roberts is the bridge to cross. The compilation of biographical vignettes highlights accomplishments of African American women who were the first to break through the glass ceilings set forth by race and gender in Savannah and the state of Georgia – from School Superintendent to City Council member and beyond. 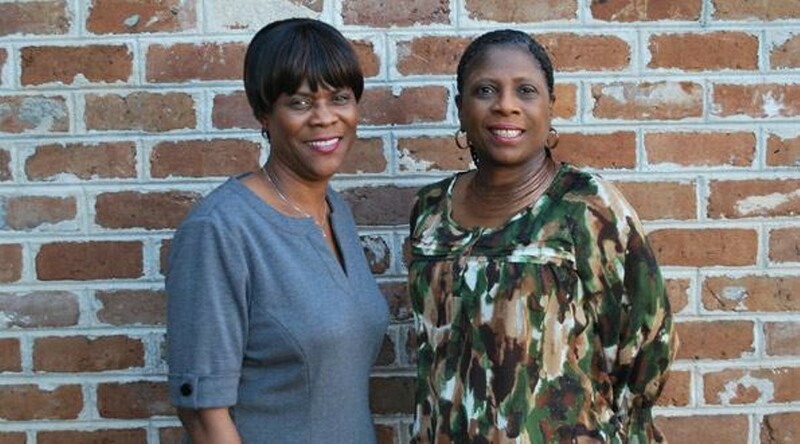 Oglesby and Roberts sought out the stories of these women, often unsung heroes of the numerous smaller skirmishes for equality, for two reasons; first to preserve their stories, and second to help inspire young women to understand and appreciate women who made a difference locally rather than emulating celebrities and entertainers. We sat down with the authors for coffee recently to discuss inspiration, process and capturing history that was nearly lost. With the scope of significant African American achievement in the history of Savannah, why only focus on women? Pamela Howard–Oglesby: Because no one else had focused on women. There is no other project like this. You found history books about places, events, men – and as a sidebar, they might say “oh yeah, and the wife,” – but these women are doing miraculous things as well. We wanted to honor and uplift the African American female. Who better to do that than two African American females? You’ve got a mix of ladies in the book, some who are still with us, and some who are historical figures, how did you go about finding all this biographical information? Brenda Roberts: All that was me. Long days at the library and the Georgia Historical Society reading old newspapers – the Savannah Morning News wasn’t keeping a lot of history back in the 1800s about African Americans so I had to go with the Tribune and the Herald, who had a lot of information. Georgia Historical is great. They have a lot of stuff. Who did you write this book for? Is it a historical document or is there a specific audience you wanted to reach? Pamela Howard–Oglesby: Girls and young women – not just African Americans – maybe some young men, but more so the ladies. We want to try to get this information imparted to young girls. Number one, to show them whose shoulders they stand on, and number two, who they can look up to as mentors so they don’t look at people in the entertainment world. Those are wonderful people, but are these girls ever going to meet them or become someone like them? We were trying to show them women right here among them, might be a teacher, someone they can interact with. A big part of the book is discussing how a lot of these women grew up around here. Is it important to de–mystify them to these girls, and help them realize that these women who accomplished so much are no different than the young girls who are reading this? Brenda Roberts: Absolutely. Being that I’m an educator, I work with young people, and I see who they tend to emulate and idolize. The book is about women who live and work in this community – maybe church members, neighbors – you can go and talk to that person, and they will sit down and listen. They will talk to you about how to position yourself to be successful. If this is what you want to do, then this is what you’ll have to do, and these are the sacrifices you’ll have to make. It would be wonderful for them to look right in their community, as opposed to trying to emulate and imitate someone they will never ever meet. Pamela Howard–Oglesby: This is what we’re trying to bring about, that we all come together and older women start telling the younger women, this is what you want in life and this is how you have to get there. How many of the stories in here do you think would’ve been completely lost in history had you not gone back and scooped them up? Pamela Howard–Oglesby: Practically all of them. Dr. McKane and Mother Beasley were documented. Brenda Roberts: But the rest of them, they probably would have let them go. A lot of them didn’t think that their stories were worthy of being in a book. Nobody else was making a big deal out of it, but it’s a big deal. You paved the way. You broke the proverbial ceiling, and it’s not as hard for the ones who come behind you because you’ve gone through the hard stuff and the obstacles and rejection. When you’re the first, you catch all the flak. Savannah’s Black “First Ladies” is available now at several local shops including E.Shaver Book Sellers, The Ralph Mark Gilbert Civil Rights Museum, African Diaspora, and the Visitors Center Gift Shop.